Part of the Men's traditional BC Cup we had the opportunity to showcase our Women at 1pm at Burnaby Lakes Rugby Fields. We started off really well on an unfamiliar field, size and 18 a side and after we loaned Calgary 4 players as they were short. Marlena scored a great goal and we added a couple of behinds which had us up by 8 points at quarter time. With the growing popularity of women's football in North America, many clubs had new coaches in 2011 who are now looking forward to 2012. 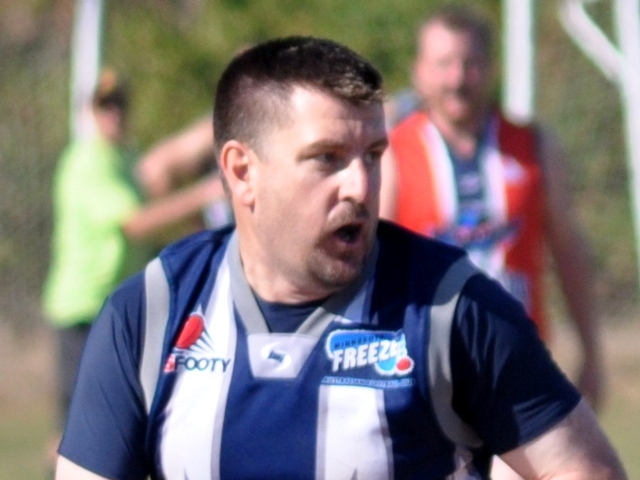 Dale "Diesel" Williams (Head Coach) - Dale has been a member of the Minnesota Freeze since their debut at the 2005 USAFL Nationals. He served as the clubs second president from 2007 - 2008. Dale took over the coaching duties after the 2010 USAFL National Championships. It’s one of the toughest sports known to man. Australian Rules football isn’t just for big, hairy, toothless, testosterone-driven men anymore.These ladies can get down and dirty, too. Calgarian Caitlin Kidd got involved in the sport after watching her older siblings. “I had three brothers who were already playing and they encouraged me,” Kidd said. Caitlin Kidd, right, goes in for a tackle during a match against Team USA. To the uninitiated, the sport may resemble a form of on-field anarchy, but Australian rules football actually contains the elements of several well-known competitive activities. “What I like about it is that it combines aspects of a lot of different sports,” said Red Deer native Caitlin Kidd, 27, a member of Canada’s Australian rules football national women’s team, the Northern Lights. The Calgary Women’s Australian Football team, the Calgary Kookaburras, are currently looking to fill a Head Coach position and two Assistant coaching positions for the 2011 season. The team is looking for individuals who have a strong knowledge of the game with the ability to create effective practices using a variety of drills to increase our fitness and game strategy. Despite the forecast of upper 80's and not a cloud to be seen, the morning dew definitely made the ball slick in the opening game. This lead to a scrappy low scoring affair but the more seasoned Calgary/Montreal superclub won comfortably over the inexperienced Hawkaroos from Columbus and Arizona. After Saturday's pool play, the top ranked team from Pool B will play a crossover semifinal against the 2nd ranked team from Pool 2.